There is a new rare game for Playstation 3 fans to collect - NBA Elite 11. NBA Elite 11 sells for about $300 used and $350 new and only eight copies have sold so far. Why is this game so rare and will it be a good collectible in the future? 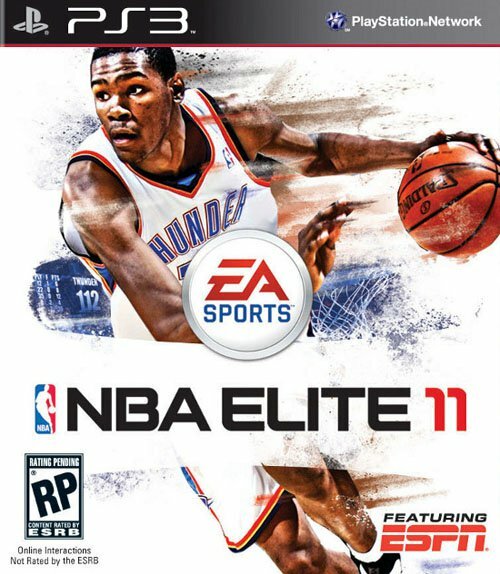 NBA Elite 11 was developed at Electronic Arts as a reinvention of their NBA Live series of basketball games. The game was originally slated to come out in September 2010 to coincide with the start of the new NBA season, but it was delayed due to quality issues. In November, EA officially canceled the game and said any future NBA games would be handled by a different developer. BUT a few copies were sent to retailers as samples. AND a few of those samples made their way to eBay. I've contacted two of the sellers who listed copies of this game and both confirmed they were samples from Electronic Arts but apparently it is the complete version of the game. How Rare is NBA Elite 11? With games like this it is hard to say how many copies actually exist. When a game is canceled the publisher stops marketing efforts so copies of the game will no longer ship to retailers or reviewers. Anyone who had a copy is generally supposed to send it back to EA so it can be destroyed. Right now there are eight confirmed copies of the game in the wild, but more copies can come on the market at any time. Other retailers or reviewers might still have copies they can decide to sell, or EA might decide to sell all their copies at some point. For now, the game is probably the rarest Playstation 3 game - even more rare than Uncharted 2: Fortune Hunter Edition and Dead Space Ultra Limited Edition. which had 200 and 1,000 copies respectively. BUT there is a risk that at some point thousands of copies of the game will flood the market. Do you think it is worth the risk? Will it stay a super rare game? Wow, I feel honored that I played a demo of this game at a, I think, Best Buy a while ago. I wonder if they still have the disc. Maybe it would be worth seeing if they'd give it to me. I'm salivating over this. I definately have the bug to pick it up now!